The MMF Advantage series is setting new standards in cash drawer design! The Advantage line is available in 5 sizes, including versions with configurable Global tills for all major world currencies as well as removable coin cups for North American and European coins. The drawers also feature improved security with high security lock options and heavy duty peripheral platforms for select sizes. 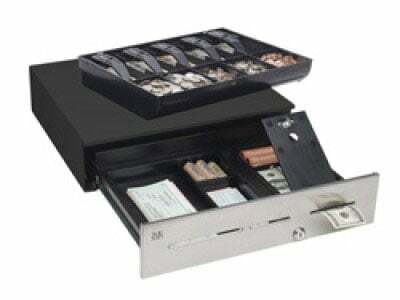 The MMF ADV-111B11510-04 is also known as MMF Cash Drawer	ADV-111B11510-04	or ADV111B1151004	.